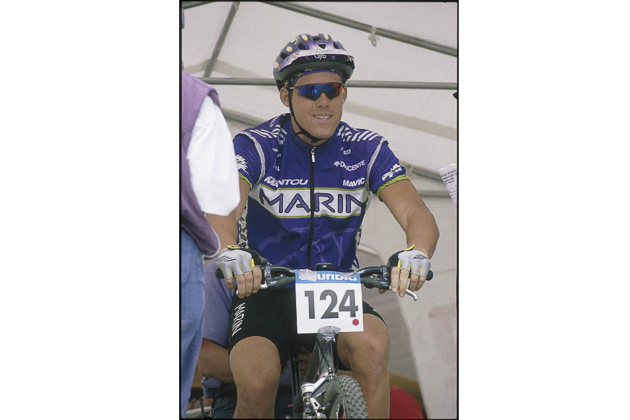 In 1995, I signed on with Diamondback Racing to be a full-time professional mountain bike racer. 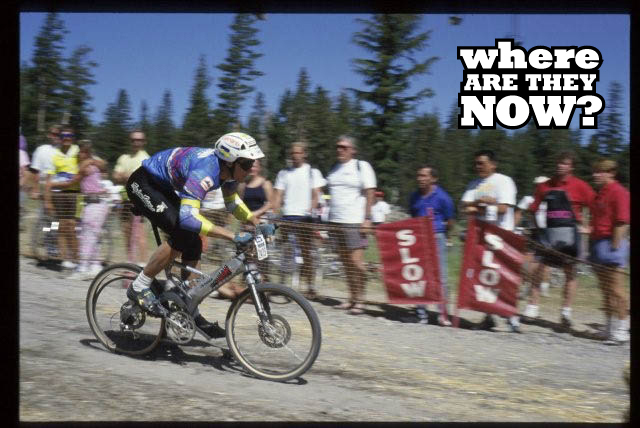 Despite the fact that mountain bikes, even the so-called downhill bikes of the day, were basically just road bikes with 26-inch wheels and a couple inches of questionable suspension, it was a really exciting time. It felt as if sponsors just couldn't throw money at the sport fast enough, and the paddock area of a NORBA National seemed to rival a major motorsports event in terms of scale and hype. With our long stems and high seatposts we may have looked like gomers, but I think a lot of us felt like rock stars. Well, sort of. The first order of business for the new season was to get the team's five cross-country racers and two downhillers together at the bike brand's Southern California headquarters for a meet-and-greet, photo shoot, media training and a couple of team rides. Earthquake Jake Watson and I were paired up for the media training. I really didn't know what to expect of our time with the trainers or how Jake would handle it—he'd struggled with the expense-report seminar we were forced to sit through earlier in the trip. Once we were on for our fake interviews in front of role-playing media trainers, though, Jake was pure gold. While I was able to say the right words, Jake delivered his message with a bold and vibrant style that made everyone smile. That, perhaps more than his racing, his amazing ability to bunny hop, his sheer size or his off-bike antics, defines Jake Watson in my memory—a bold and vibrant style that made everyone smile. On March 12, 1999, while doing a downhill practice run for the Keysville Classic, Jake crashed hard. He was attempting a line no one else was doing, and it cost him his life. If you're at all familiar with the name Earthquake Jake Watson, you already know the story. So, where is Jake Watson now? If you believe in heaven, then I am sure Jake is there. In Jake's heaven there's unlimited action and plenty of different things to do. Everyone in Jake's heaven has the heart and soul of a child, and everything—even serious things—are there to be lived, enjoyed. If you believe that our lives are recycled, that we are reincarnated, then I'd imagine Jake is back as a human being by now. It has been 15 years now since his death, so he already got to come back as someone's beloved dog—one of those big dogs that have giant paws when they are puppies. Now, I suppose some proud parents are scratching their heads and wondering how their young child came about such amazing natural talents. But whether you believe these things or don't, the most important thing to know about Jake Watson is that his memory is alive and well in the hearts and minds of the people who knew him—and on the internet. His family maintains a Facebook page, YouTube account and website dedicated to preserving Jake's legacy. They are worth a look, if not for the trip down memory lane, then to catch a glimpse at his skill. I wanted to include some quotes from former teammates, friends, family and others—and I probably spoke with more people for this particular "Where Are They Now?" than for any of the others I've written. And while everyone has a funny story to tell, the words people use to describe him are always the same: Jake Watson was a big man with a big heart who seemed to squeeze every drop of living out of his short life. He had incredible abilities on a bicycle. He didn't have a mean bone in his body. He was amazingly generous. And he made the people around him happy. During our short time as teammates, our schedules and job descriptions didn't really allow us that much time to get to know each other. But whenever one of those Earthquake Jake memories pops into my head, I can't help but smile—and that's a pretty cool gift he gave us all. 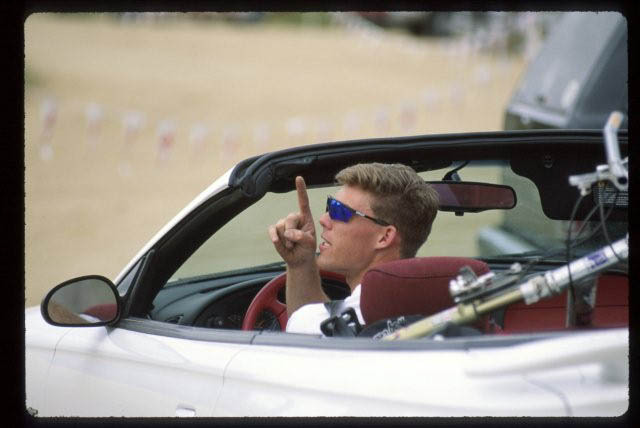 #earthquake jake #jake watson #Where are they now Jake Watson #where are they now?